Smoky Mountain Boots has one of the largest selections of children&apos;s boots in the western industry. Stylish riding boots! A man-made boot with a zipper and elastic gores. 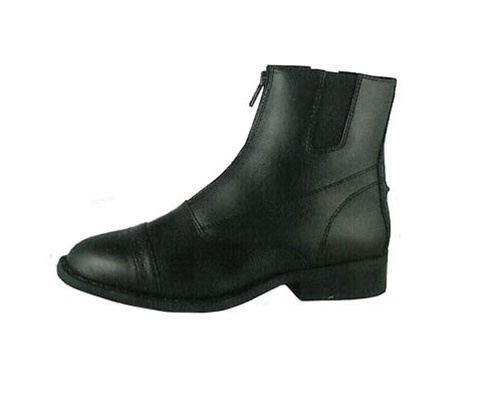 Features taibrelle lining, paddock toe, riding heel, TPR sole and steel shank for easy riding . Allow for your child&apos;s growth by ordering a 1/2 a size up from your child&apos;s normal shoe size.